much love, illy: sponsor love + giveaway with Saturated Canary. meet Krista of Saturated Canary. Hello! My name is Krista and I blog at Saturated Canary. I love to craft and wear semi-cool clothes. I most of all love my two kiddos and super yummy hubs. I also love to blog-- it's like tasting the sweetest parts of life over again...writing and smiling at my computer screen, because, honestly-- life is pretty amazing! I'd be so happy if you stopped over and said hello! last year, krista drew these two custom drawings for me. they sit on my art desk, and i still just stare and obsess over them (the one of me and Ryan is my absolute fave - check out the drawing process HERE). her drawing style is just so fun and detailed that i could browse through her shop for forever! and be sure to check out her blog - you will fall in love with it as she writes about daily life with her darling family, smash book adventures, and her art. and today because she loves all of you guys so much she is giving - wait for it - a $50 ModCloth gift card! Modcloth happens to be one of my favorite online clothing/accessories website ever! see?! i told you she loves you guys that much. don't let this giveaway slip through your fingers cuz i'd say, it's way too good to lose! be a public GFC follower of Saturated Canary! Giveaway is open to ALL Much Love, illy readers thru July 23rd. Winner will be announced on July 24th. i am a public follower of Saturated Canary! i am also a follower if Much Love Illy! i really like the Butterfly princess digital stamp. it's pretty. I'm a follower of Saturated Canary! i liked Saturated Canary's facebook and I left a wallpost stating that Much love, Illy sent me. I am a follower of Saturated Canary! I follow SC via Bloglovin'! I follow Krista at Saturated Canary! I follow her via bloglovin. im a GFC follower of saturated canary! im a GFC follower of Much Love Illy! i like saturated canary on facebook! i follow saturated canary via bloglovin'! i like the books and bedhead stamp! so cute! pubic follower of saturated canary! I adore Krista! I LOVE her art and I follow her blog. She is the best! I follow her blog with GFC. and of course follower of Much Love Illy! I'm a GFC follower of Saturated Canary! I'm a GFC follower of YOU! Just followed Saturated Canary via GFC! liked Saturated Canary's facebook page and left a comment! I love Zombie Niamh on the Saturated Canary shop! Following Saturated Canary on Bloglovin'. I love Books and Bedhead from Saturated Canary! I'm a follower of Saturated Canary. I'm a follower of your blog via GFC. I'm already a follower of Saturated Canary on facebook...so do I need to say that Much Love, illy sent me? I follow Saturated Canary on Bloglovin'. I am a public GFC follower (Surendene) of muchloveilly. I followed Saturated Canary on GFC! I followed this blog on GFC! I followed Saturated Canary on Bloglovin! I like the Butterfly Princess stamp! I am also a follower of this blog via GFC! GFC follower of Saturated Canary! I follow SC on Facebook & Bloglovin, and happy she posted here because now I get to follow YOU! 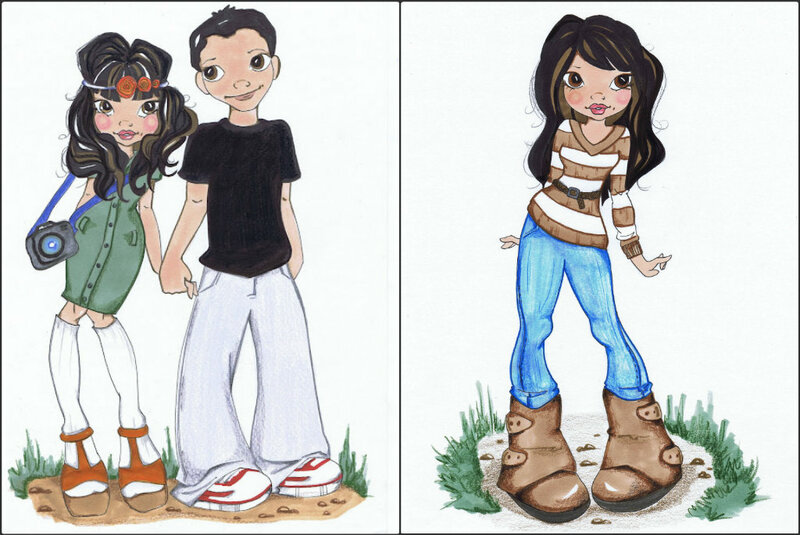 I love ALL of Krista's digi stamps, she is very talented! I follow Saturated Canary on gfc! I am a public GFC follower of Saturated Canary! I'm following the Saturated Canary via GFC! I liked the SC on FB! My favorite design is "Pack Light" because it reminds me of how I always overpack when I go on vacation. (Should have said I follow her blog.) I also follow your blog via GFC. Shared on Facebook (tagged you both). My favorite design is "What the Librariran Reads." I like Saturated Canary on Facebook and commented. I follow Saturated Canary via bloglovin'. My favorite digital stamp is Grey Tie. like saturated canary on facebook and said you sent me! love the marry me stamp! I am now following Saturated Canary via Bloglovin' too. fave digital stamp: "to the lake"
Liked Saturated Canary on facebook! Posted on facebook about this giveaway! I like the "what the Librarian wears" and the "queen" stamp =] SO cute! I love the Toes in the Sand and What the Librarian Reads stamps. I love What the librarian reads stamps! So cute! Following Saturated Canary via GFC!! GFC follower of this blog! Marry Me is my your favorite digital stamp! i follow/like saturated canary on fb and left her a comment!